Murder in Piccadilly by Charles Kingston was first published in 1936 but the one I read is one of those British Library Crime Classics which have atmospheric 1930s covers this one featuring Piccadilly Circus. I really shouldn’t have enjoyed this book as much as I did because it’s one of those murder mysteries where the murder doesn’t occur until half way through the book. I really prefer it if the murder is discovered before page three and so you don’t really know anything much about the victim. But there was enough going on in the first half to keep me interested and I really liked Kingston’s writing style, his dialogue is entertaining, witty and cutting at times. The setting is mainly London although a country manor house does also feature. Ruby Cheldon is a World War 1 widow, her husband was blown up by a shell and she was left to bring up their son on her own. Bobbie is in his early 20s, but he has been so spoiled by his mother that despite having to live on her very small allowance he has no intention of getting a job. The main reason for his lack of ambition is that he has been brought up with the knowledge that his father’s elder brother Massy Cheldon is very wealthy and as he has never married Bobbie will eventually inherit his money and property. Uncle Massy is a miser and seems to enjoy maintaining his widowed sister-in-law and nephew in a life of penury, living in a poverty stricken part of London, while he lives the high life. Massy expects to live at least another twenty of thirty years more, but Bobbie has fallen for Nancy a beautiful young woman, a dancer in a nightclub. Nancy is only interested in Bobbie for his money though and it’s a shock for her to discover that the much talked of money and property is actually in the hands of Massy. Bobbie is consumed by the unfairness of his life and feels that he is the rightful owner of the wealth and that Massy is simply keeping him from everything he should already have, including Nancy. 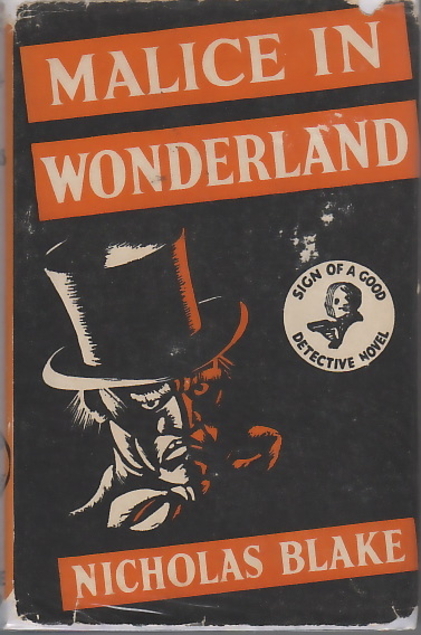 Throw in a couple of dodgy characters from the seedier side of London in the shape of Nancy’s dancing partner and a failed boxer and it all adds up to a good vintage crime book with a nice twist near the end. I will definitely be looking out for more books by Charles Kingston who was apparently a fairly prolific crime writer in his day but for some reason his books haven’t been reprinted over the years, until now. There’s an introduction by Martin Edwards which of course should NOT be read before you read the book. It ends by him writing:This is not a cerebral country house whodunnit of the kind so often written during the Golden Age, but a good-natured old-fashioned thriller, that retains a warm period charm.